February is Heart Disease Awareness Month. “Wait,” you may be wondering “this is a dental blog. What does heart disease have to do with my mouth?” The answer might surprise you. Believe it or not, there is a link between the health of your gums and the health of your heart. Curious to know what it is? Actually, there are two ways in which oral health and heart health are connected. Studies have shown that patients with moderate to advanced periodontal (gum) disease are more likely to suffer from heart disease than a patient with healthy gums. Similarly, studies have shown that oral health is a pretty good indicator of overall health and can give us warning signs for other diseases – including heart disease. There has been research done into why whose connections exist, but no definitive answers have come up as of yet. It is thought that the connection may be due to similar risk factors like smoking, poor nutrition and diabetes. It is also possible that the answer can be found in the underlying cause of periodontal disease – build up of plaque bacteria over the teeth and gums. In theory, that bacteria can come loose and enter the bloodstream, making its way to the heart and planting the seed for future disease. While it makes sense that any bacteria loosened would be swallowed along with food and saliva, it’s important to keep in mind that many patients with periodontal disease end up with oral lesions and gums that bleed during brushing or flossing. Brushing and flossing is the time when bacteria is most likely to be loosened and spread throughout the mouth, which could easily find its way into those lesions and open spots. Alternately, it has also been hypothesized that more advanced gum disease can trigger your body to try and fight the infection by flooding the system with white blood cells, and this could encourage the formation of blood clots. Blood clots have long been known to increase blood pressure and risk of heart attack. Interestingly, the Academy of General Dentistry (AGD) has found that diagnosis and treatment of tooth and gum infections in some patients has lead to a decrease in their need for blood pressure medications and an increase in overall health. Now that you know about the connection, it’s important to make sure that if you suffer with either heart disease or poor oral health, that you make sure to pay special attention to the other. Not sure if you have periodontal disease? Remember that it affects about 80% of adults. Keep an eye out for gums that are swollen, red or tender/painful. Pay special attention to the sink and your toothbrush after brushing. Blood can be an indicator of disease or infection. A foul taste in your mouth or foul breath regardless of brushing or flossing can also mean infection. 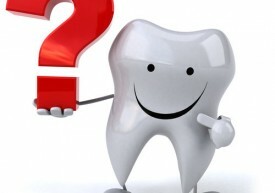 Regular checkups and dental care are important and can really help to nip any problems in the bud.